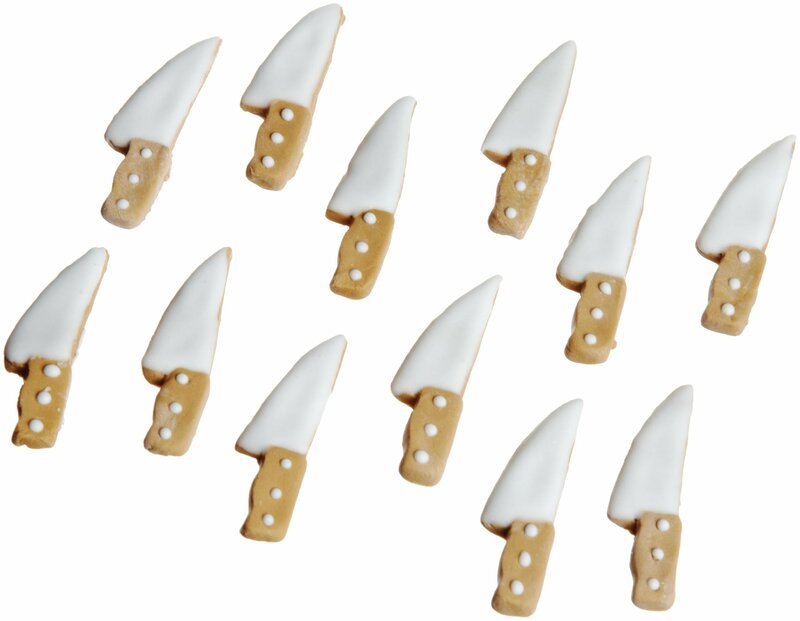 Design:Knife Serve Halloween treats that are a cut above - top them off withthese sharp-looking icing knives. Everyone will love the way they dress upbrownies, cupcakes and other treats in an instant. 12 icing decorations.